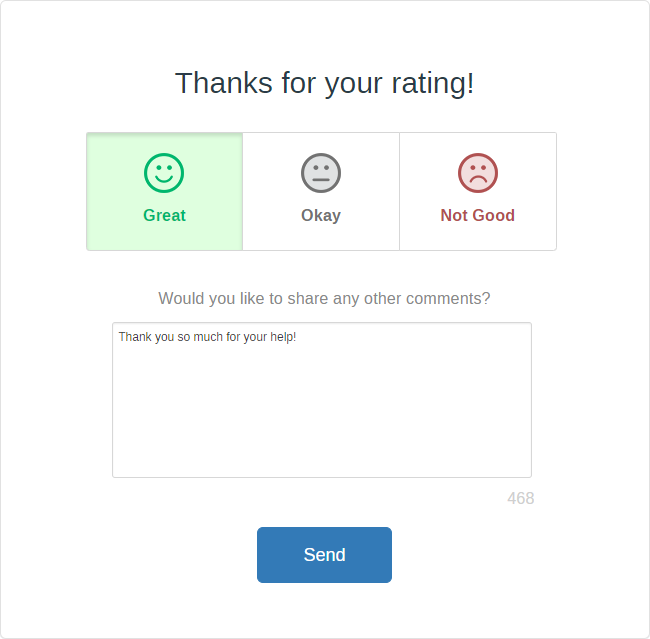 Get instant customer's feedback with Satisfaction Ratings! 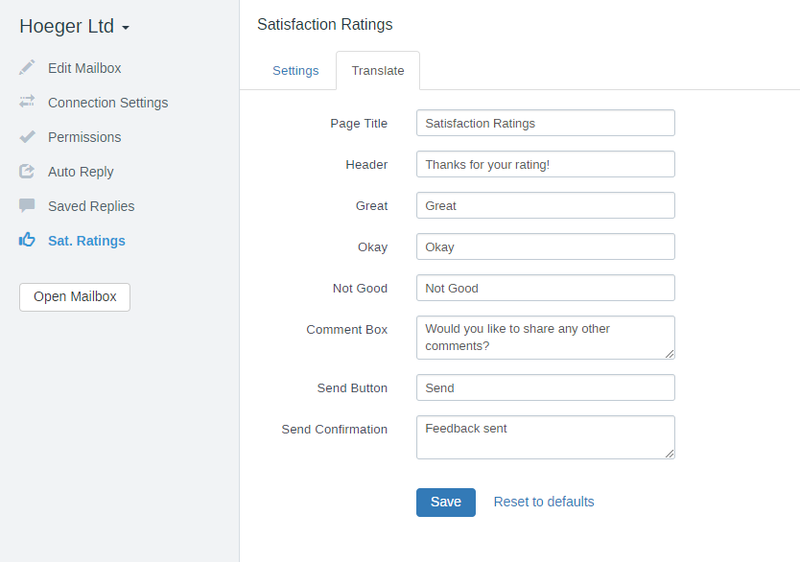 Customer satisfaction ratings allow your customers to rate your replies. Customers rate their support experience and you can view results in the reports (Reports Module coming soon). Satisfaction Ratings allow you to evaluate effectiveness of your support agents and measure customers satisfaction. 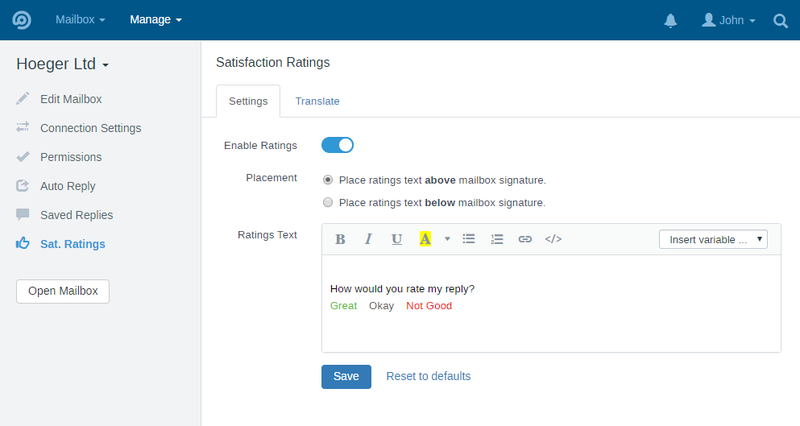 Satisfaction ratings are mailbox-specific and are disabled by default. You can enable ratings in Mailbox Settings » Satisfaction Ratings. Once enabled, ratings links are sent to customers automatically with each reply. Each reply sent to the customer can be rated. 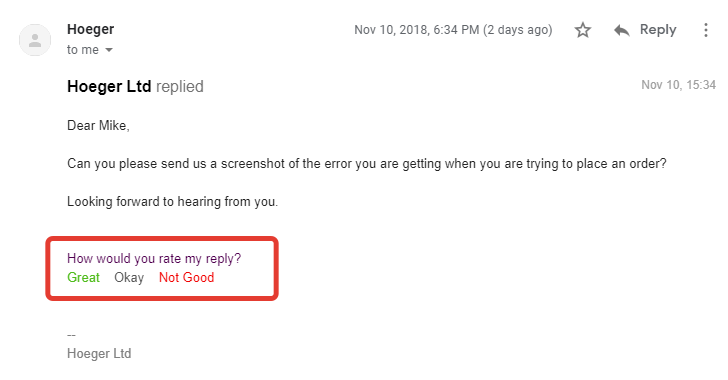 For example, if support agent sends 5 replies to the customer, the customer has the opportunity to rate all 5 replies. Ratings without comments are still saved even if the customer does not hit the Send button.